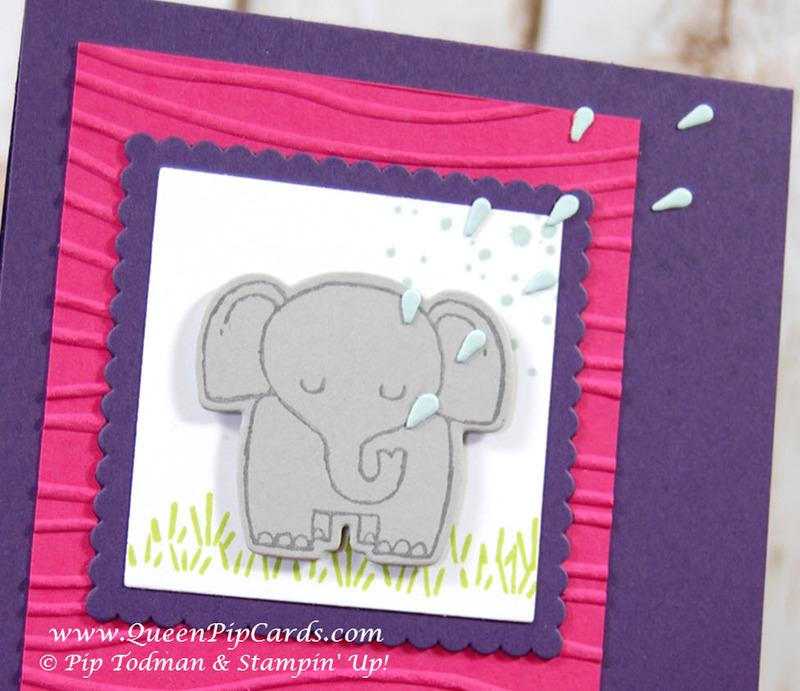 Good morning and welcome to this month’s Stampin’ Creative Blog Hop. This month we’re featuring Summer Fun Crafty Projects. Things that either reflect some Summer Fun or some Crafty Projects you might do in the Summer for Fun, or a bit of both! You may have hopped here from the lovely Eimear and I know she’ll have had a great project for you. Or you may have started here at Queen Pip Cards from the sunny Ash Vale (Surrey / Hampshire border)! Either way, welcome & please keep hopping! It wasn’t hard for me to choose what to feature for my Summer Fun Crafty Projects, having just come back from the Incentive Trip to Thailand which was amazing, I wanted to share some of that with you and the hop. First up is my Swap and my little Treat Gift Bag. I took along a few gifts for the event team, because they look after us so well. Inside are some traditional English sweets that wouldn’t melt! The little Elephant from A Little Wild is perfect, don’t you agree? You can make a whole set of these bags for party favours or wedding favours! The stamp does both sides and the framelit cuts it out perfectly in one go! The sentiment comes from Tabs for Everything and I made it up out of a Heart then This then Happy Life so you read it as “Heart this happy life” because I do LOVE this happy life of being a Stampin’ Up! demonstrator! On the back of the card I stuck the rear of the tag because it’s too cute not to use! For a few of my friends I also made a 10 x 7.5 cm version which they could pop into their Memories & More albums. I also have these photos to put into a pocket page when they arrive! Now there’s a gaggle of demos who love a spot of crafting and a spot of Summer Fun too! 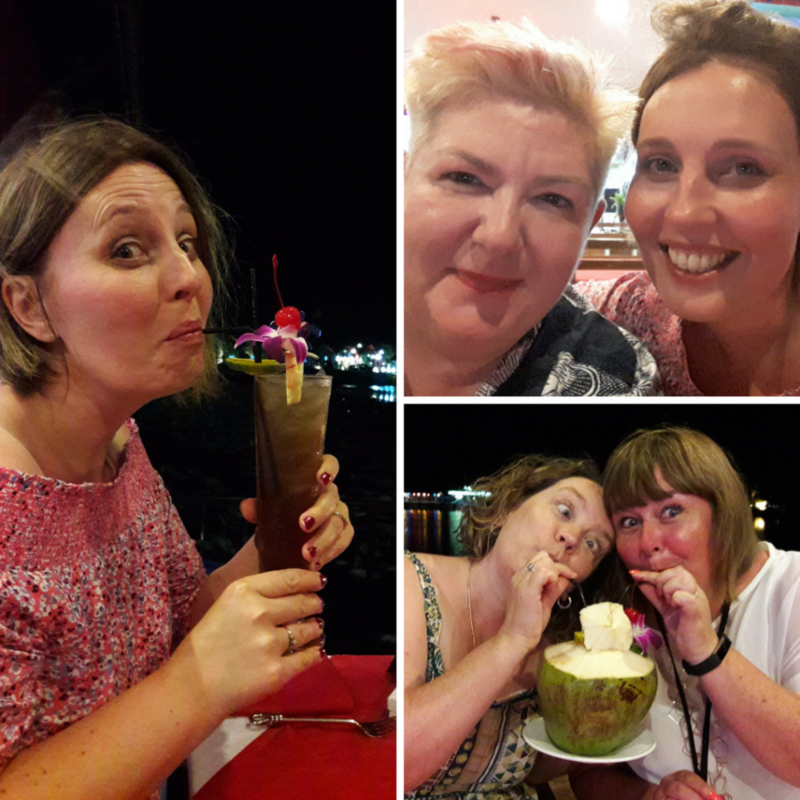 This was our team night out in Thailand with our fabulous leader Natalie O’Shea! Talk about some Summer Fun Crafty Projects. 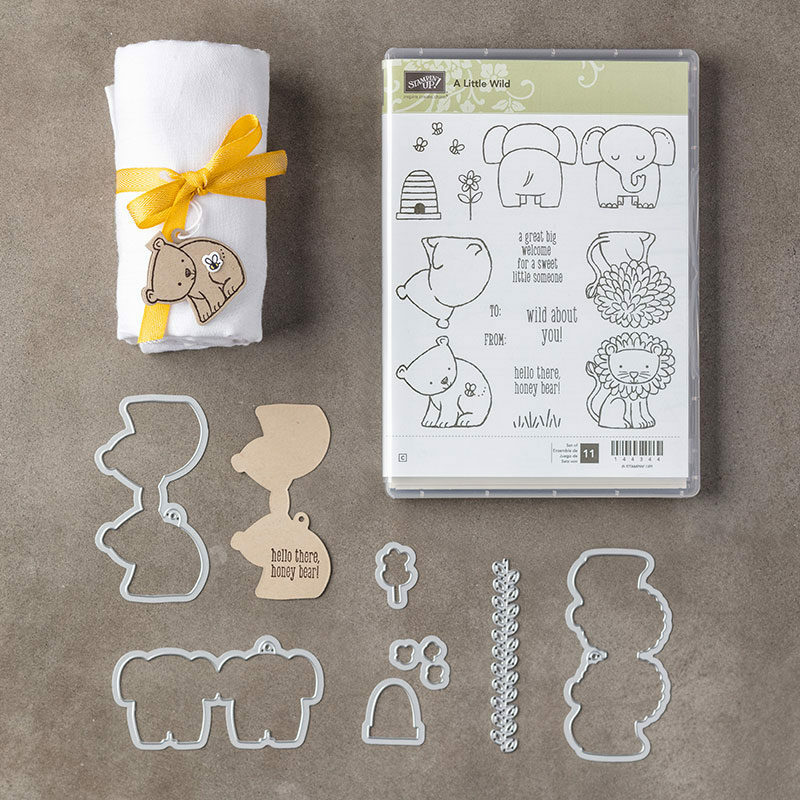 From cards, to gift packaging to scrapbooking! The choices are endless with the A Little WIld stamp set and matching framelits. Now let’s hop over to the lovely Mikaela to see what she’s got for us! Just click her name or the Next button. The full list of hoppers this month are below and don’t forget to check out this month’s wonderful special deals listed below too! Offer 1 – get a £4.50 voucher to spend next month when you shop this month for £45 worth of goodies from the new catalogue! 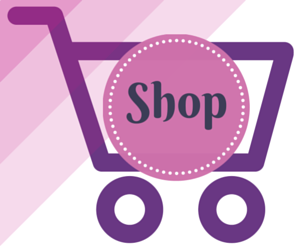 Offer 2 – Join Stampin’ Up! 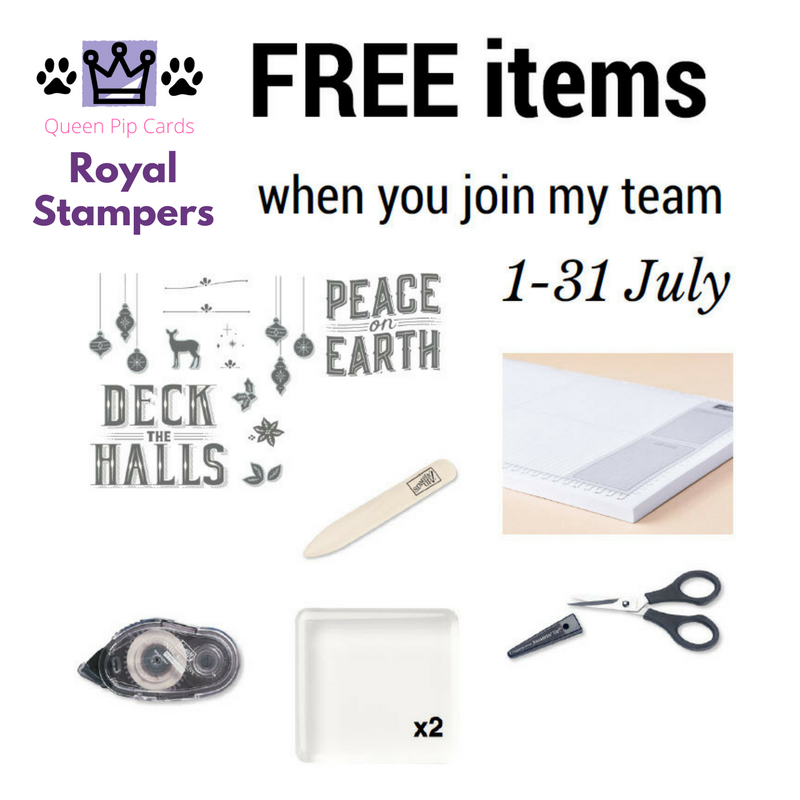 and my team get a massive starter kit with these additional FREE items (including an early Christmas release stampset) PLUS an ongoing 20% for at least 6 months! WOW!! 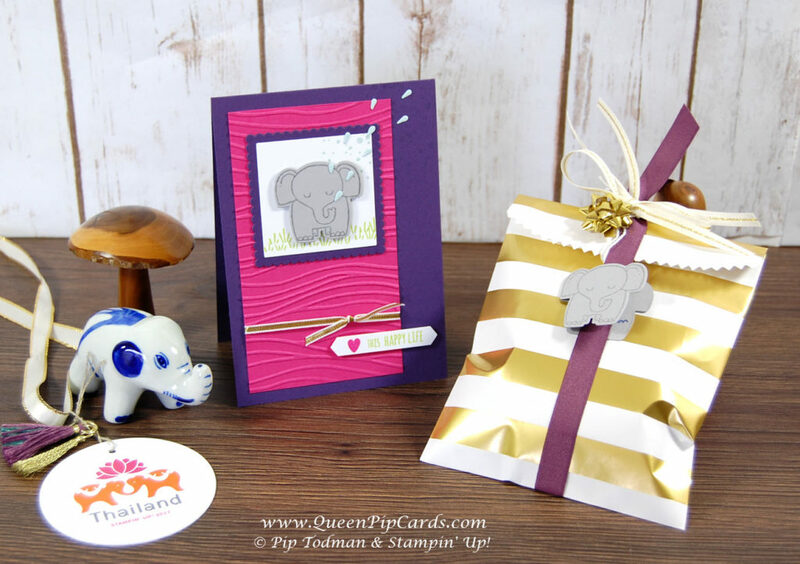 Click HERE to Join my fabulous team the Royal Stampers today! 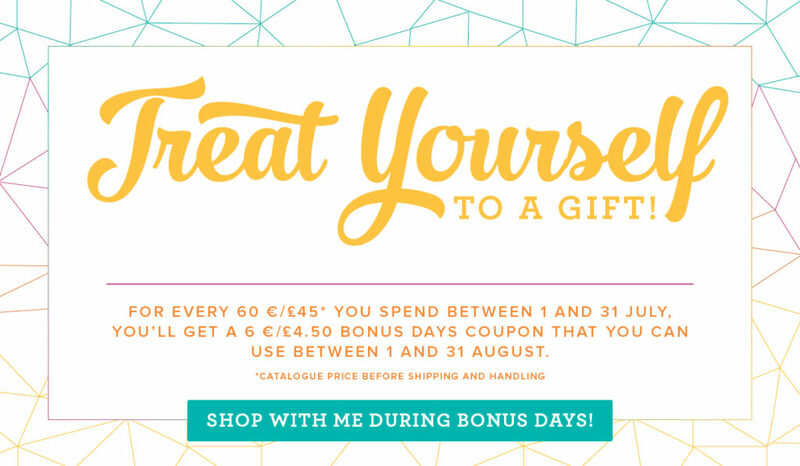 Just £99 for £130 worth of products PLUS ONLY A FEW DAYS LEFT to pick up extra goodies!! Click here to Join now! or Click here to read about us! Offer 3 from Me – Use my Monthly Giveaway Code for all orders under £150 in the Host Reward box on your Basket screen online. I will send you a special thank you from me next month. Click here to read more . 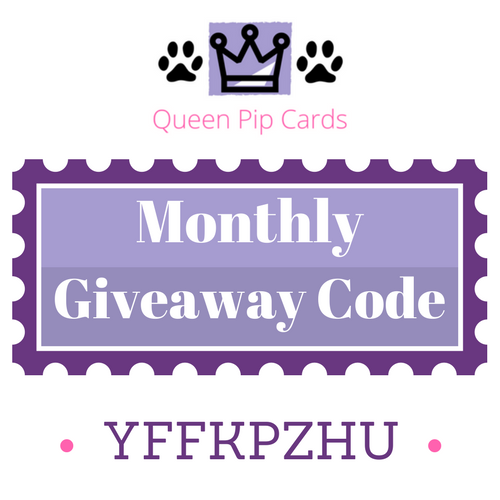 Don’t forget to – Fill in the Subscribe form below to keep up to date with all the news and get exclusive projects from Queen Pip Cards.